Frederick County is proving to be the “test case” in the emerging struggle between agricultural preservation and harnessing the power of the sun. As evidenced by the farmer featured on its official seal agriculture is the historical foundation of Frederick County while solar power is critical to its future. 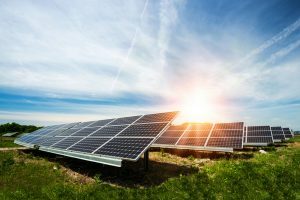 Current county law governing solar arrays in agricultural areas, has proven to be one of the most restrictive in Maryland and may result in the potential loss of quality opportunities to obtain and provide “clean energy” for Frederick County’s future. When the Frederick County Council passed a bill in May 2017 creating a zone to allow solar arrays, we had high hopes for a bright future generating solar power here. But it has not come to pass. When the council recently rejected a proposal for a $17.2 million solar energy site about 150 acres of agricultural land because it did not comply with the earlier ordinance, it became clear that the law needed to change. The project cannot exceed 10 percent of the farm’s tillable acreage, or 75 acres. It cannot sit on prime farm soils. It cannot be in a priority preservation area or rural legacy area. It cannot be contiguous to growth areas identified in the county’s Comprehensive Plan. At the time of the approval, we praised the bill as a first step toward a cleaner energy future for our community and for the country. But it is now clear that the law is too restrictive. We therefore applaud council President M.C. Keegan-Ayer’s move to create a work group to begin updating and improving the zoning ordinance. She shows real vision in taking this step. She has rightfully invited the Frederick County Farm Bureau as well as solar array companies to participate, and she should expand it to include scientists and engineers from the field of solar power study to participate as well. The world of solar power is advancing by leaps and bounds, fueled by research and development dollars. It is the primary hope for a clean energy future, needed to address the most important challenge threatening us — man-made climate change. The widespread burning of fossil fuels to power our vehicles and to generate electricity must come to an end. “Solar energy is such a vast energy resource that it can be used for any of our everyday needs, including electrical power, heating and cooling, water heating, industrial process heat, cooking, transportation, fuel production and even environmental clean-up. “It comes to us as radiation which is pure energy (no mass associated with it), which is the highest form of energy and can be converted to many other forms for our everyday use. David A. Severn has been practicing law in Frederick MD, since 1980 and focuses his practice on land use, development and real estate. He represents clients in all aspects of the zoning and land use process appearing regularly before planning commissions, boards of appeal and legislative bodies of Frederick County, Washington County and their municipalities. 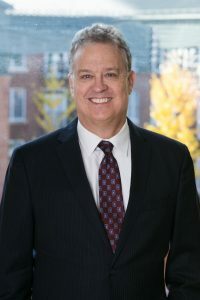 He has served as lead counsel in numerous large and complex development projects including “Carroll Creek Park” a mixed use, public-private partnership re-development project in historic downtown Frederick modeled on River Walk in San Antonio, “Frederick Crossing”, the first large mixed use commercial retail/employment center in Frederick County and the redevelopment of the Frederick Towne Mall. David also works for the public sector in serving as legal counsel to the Town of Walkersville, Frederick County and Washington County Public Schools for real estate and land use matters.